Show how you as the new media can help find solutions. Here’s a brilliant piece, Liberals Ruining America, in the New York Times magazine. 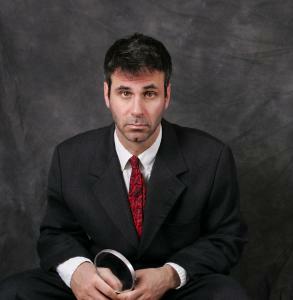 Steve Almond is a liberal author and essayist. He correctly analyzes how he – and many others – fell prey to the goals and successes of the right-wing whackos and the right-wing media. As you will see here, Almond gives liberals – and smart conservatives and moderates – a blueprint to end the media nonsense and to start solving our problems. Almond is in tune with what we’re trying to do here. Conservatives and liberals have good things to say on individual issues. As monolithic groups, they become myopic and simplistic. Let’s go into some highlights of this piece. This slavish coverage of conservative scoundrels does nothing to illuminate policy or challenge our assumptions. On the contrary, its central goal mirrors that of the pundits it reviles: to boost ratings by reinforcing easy prejudices. These ratings come courtesy of dolts like me: liberals who choose, every day, to click on their links and to watch their shows. Liberals, moderates, and Democrats come across as elites. They stand on high platitudes because it is so easy when the right-wing has wing-nuts. But those wing-nuts are passionate and they do things. Conservatives also thrive thanks to simplicity in their message. They take advantage of two things: 1.) the lack of time the news consuming public has to understand nuance or refute the right-wing silliness; 2.) the majority of us fail to educate ourselves at our own detriment. Liberals and Moderates seem to think of conservatives as a monolithic group. They’re not. Some of them are angry over budget issues since too many politicians have failed to look at the economic future. Many conservatives really do have overlapping values with moderates and liberals. Liberals and Moderates should actually offer specific plans and ideas for politics and the economy because too many Republicans are recipients of legal campaign bribes. Almond thinks this might happen if we ignored Fox and talk radio. I am not so certain. I still think money trumps it all for the media. Almond closes with some Informed Not Inflamed idealism/wishful thinking. We have the ability and the technology for all of us to thrive with our own businesses, but the entrenched special interests in both political parties are trying to stop this new economy because it will end their power and profits.